John O'Donohue: "I love Pascal's phrase, that you should always "keep something beautiful in your mind." And I have often - like in times when it's been really difficult for me, if you can keep some kind of little contour that you can glimpse sideways at now and again, you can endure great bleakness." I read this statement by Irish poet John O'Donohue an hour ago and it make me think of the experience I had recently while I visited a longtime girlfriend of mine. Debbie was my wild hippy friend, originally from Minnesota like me, but we were both living in San Francisco when we knew each other best (1975 - 1985). Passionate about life, love, family, friends and so much more. When she got into something she dove in 100%. While we chatted I enjoyed looking at all the photos and items of comfort packed in her room and especially on her dresser and window ledge. Simultaneously, she asked for and was administered her evening medicine of pain pills and more. Being who I am, and how I see things, I couldn't help but notice the beautiful orchid plant on display on her dresser near the window. It was hard to truly appreciate it because of all the other items around it. 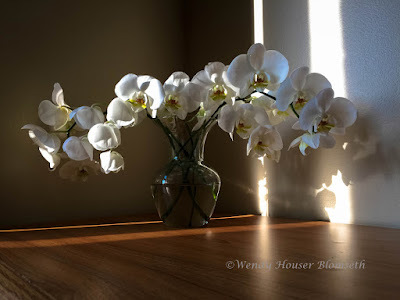 As the sun shone through the window and across the orchids I was prompted to move everything off the dresser top and onto the floor so that Debbie could appreciate this beautiful moment of sunlight on the flowers. While lying in her bed, she helped give me directions on how I could compose the portrait so she could see the movement of light and shadows better. It was only ten minutes or so of enjoying this beauhtiful scene before we lost the sun and everything fell in shadow. But it felt as though we both had shared the gift of beauty together and we both had seen and felt something precious before we had to go back to the reality of her stroke and the long recovery she has ahead of her. 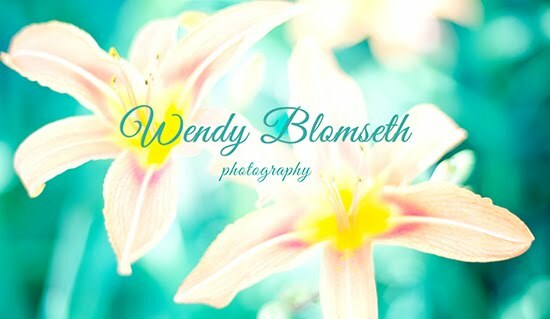 The photos turned out so nice that I had them made into a set of greeting cards which I will hand deliver to Debbie on my next visit. There are times I feel that my ability/need to see beauty and create photographs is trite. But other times, like on this day, it felt important and significant.